Which Creature Would You Choose? 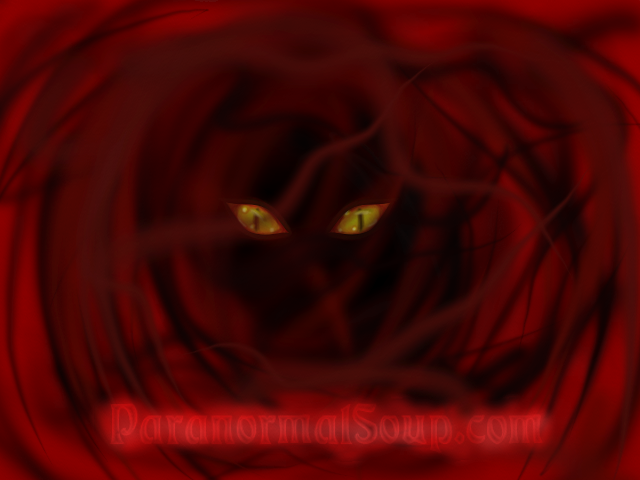 The floating Pig (Jody) with red glowing eyes at the Amityville Horror House! Just one? Darn then probably Mothman. I equally like Mothman and the Jersey Devil story wise. They are both in states close to mine. I would pick aliens in general... because I would feel bad if like Nessie got exposed.... the poor thing would get captured by seaworld or something. Before researching the subject of Nessie's protection status, I thought the Scottish government made Nessie a protected species. I was wrong; they are too busy trying to figure out if it is either real, what kind of creature or even is it purely aquatic or quadruped. The only protection it would have is if It is considered a "Royal Fish." If so, this way the Crown would own it, and only then it needs to be less than 25 feet long. And the animal must wash ashore dead. Other than that she has no protection. Alien grays..... they need to be exposed! Here's some info on the Surgeon's photo. The modern history of the Loch Ness Monster began in 1933 when a new road was completed along the northern shore of Loch Ness, providing easy access to unobstructed views of the water. Soon after this, a couple spotted an "enormous animal" in the Loch. 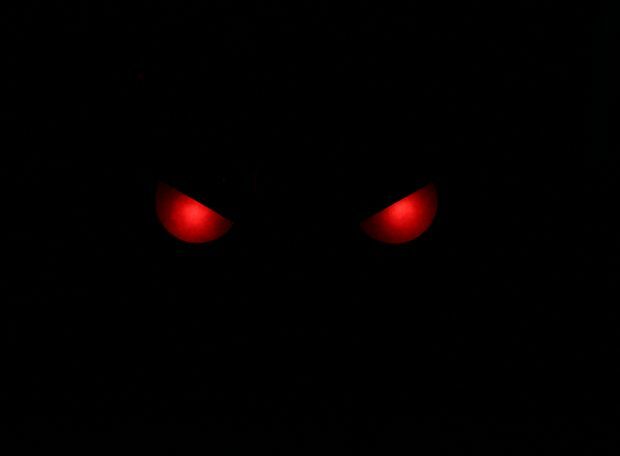 The Inverness Courier wrote up their sighting, describing what they saw as a "monster." Intense media interest followed, and thus was born the modern legend of the Loch Ness Monster. Later that same year, the Daily Mail, taking advantage of the Nessie craze, hired a famous big-game hunter, Marmaduke Wetherell, to travel up to the Loch to investigate the sightings and to find the monster, if he could. Although he found no monster, in December 1933 he did locate what appeared to be its tracks—enormous footprints on the shore of the Loch leading into the water. Unfortunately, when researchers from the Natural History Museum examined the tracks, they determined they had been made with a dried hippo's foot, of the kind that were popularly used as umbrella stands. Humiliated, Wetherell retreated from public view. But a few months later, the Loch Ness monster again made headlines when a highly respected British surgeon, Colonel Robert Wilson, came forward with a picture (top) that appeared to show a sea serpent rising out of the water of the Loch. 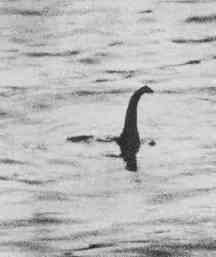 Wilson claimed he took the photograph early in the morning on April 19, 1934, while driving along the northern shore of Loch Ness. He said he noticed something moving in the water and stopped his car to take a photo. 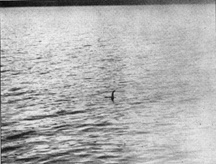 For decades this photo was considered to be the best evidence of the existence of a sea monster in the Loch. But Wilson himself refused to have his name associated with it. Therefore it came to be known simply as "The Surgeon's Photo." For years skeptics were sure that the photo was somehow a hoax. But no rigorous studies of the image were conducted until 1984 when Stewart Campbell analyzed the photo in a 1984 article in the British Journal of Photography. Campbell concluded that the object in the water could only have been two or three feet long, at most, and that it probably was an otter or a marine bird. He suggested it was likely that Wilson knew this to be the case. But as it turned out, Campbell was wrong. The object in the water was not a form of marine life. It was a toy submarine outfitted with a sea-serpent head. This was revealed in 1994 when Christian Spurling, before his death at the age of 90, confessed to his involvement in a plot to create the famous Surgeon's Photo, a plot that involved both Marmaduke Wetherell and Colonel Wilson. According to Spurling, he had been approached by Wetherell (his stepfather) who wanted him to make a convincing serpent model. Spurling did this, and this model was then photographed in Loch Ness. The picture was then given to Wilson, whose job it was to serve as a credible front-man for the hoax. Apparently Wetherell's motive was revenge, since he was still smarting from his humiliation over the hippo-foot tracks. 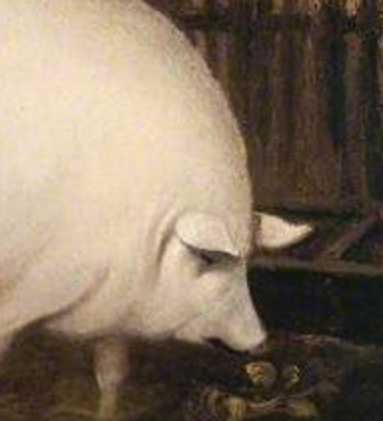 "We'll give them their monster," his son later remembered him saying. In the original version of the image (bottom) the diminutive size of the Nessie model in relationship to the Loch can be seen. (The dark band along the top of the picture is the opposite side of the Loch.) The image given to the media was cropped to hide this perspective, making the "monster" appear larger than it actually was. Interests:Truth--no matter how fantastic or mundane, no matter how delightful or painful. Firstly, Big Foot, aka Sasquatch, or as the Cherokee call the creature "Judacalla," the slant-eyed giant. Which implies that they had an unfortunate familiarity with the beast, either as a tangible reality or an archetypal fear. But quite frankly aliens. Hopefully the kind that take in hitchhikers, and are interested in long conversations about the wonders of the universe. I have so many questions. And faerie folk. Especially the Elven kind. If there is a faerie queen out there, I'd love to meet here, for the same reasons as listed above.